After a long period of holidays, most of us dread of returning to the office, and experience office blues. 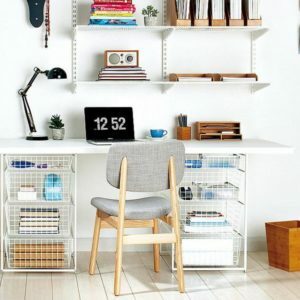 For those lucky enough to be working in co-working space, you can easily switch seats to get a fresh working environment and get fresh inspiration. However, for those working in a serviced office or a traditional office, here are some tips and tricks for you to spruce up your office. Entering into the new year of 2018, its time to start on a clean slate. The same goes to your serviced office space. Clean out all the papers, documents and post-it notes that are no longer necessary. Your serviced office should be a work area, not a storage area. Try to keep only documents that you are working on currently on your desk. 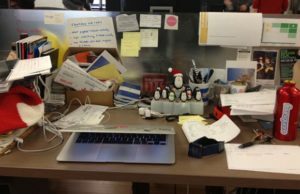 An excess of things on your desk will only cause you to have to dig through the archives of your desk every time you are looking for a particular item. We often find it hard to be able to remember where we have placed our items. This causes us to waste a lot of time searching for our items. By creating designated areas for our items within our serviced office space, we will have fixed landing spots for all our items. Irregardless of whether it is our coffee cups, stationary or incoming and outgoing documents. Having designated areas helps to avoid confusion and maintain the orderliness of your office. As much as we appreciate all the many trinkets we have on our desk, a clear serviced office space leads to a clear mind. By having only the essential items on our desk, it helps us to be able to think clearly. Having empty space will allow more freedom of movement. It also removes the perception of being confined to a small space. These tips will help you to achieve the illusion of having a fresh and new serviced office. Happy working in this New Year of 2018!